Recently I have been busy setting up my home office. In fact, it was not until I have left the comfort of a (very green and modern) office building where I had been working five days a week over the past four and a half years to start my own company that I realized that having a dedicated work space at home is indeed essential. A home office helps one collect one’s thoughts, generate a suitably creative mess and ensure that there’s a decent backdrop for all those professional video calls. Obviously, I wanted my brand new Green Stilettos office to be stylish and sustainable. However, unlike fashion, interior design is not exactly my speciality. It turned out to be a steep learning curve! 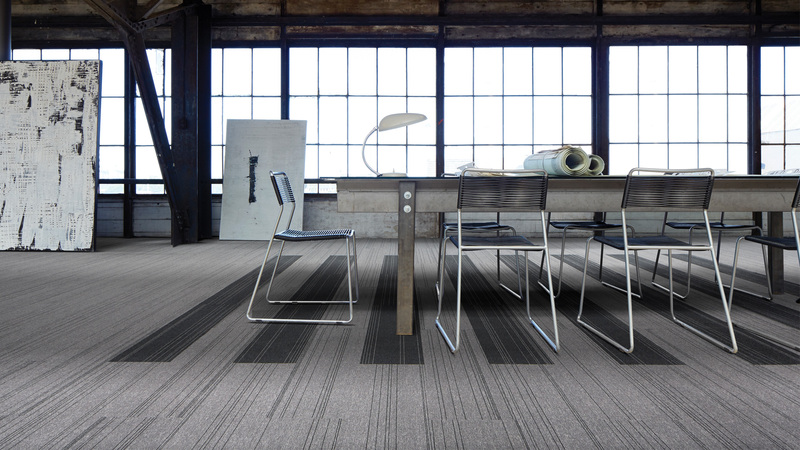 Office space covered with Interface carpet tiles made from 100% recycled yarn. First, I had to decide on the essentials of a ‘home office’: should there be a desk? a couch? a coffee table? some shelves? There’s a lot of inspiration to be found on Instagram and Pinterest these days: all pastels and shaggy rugs, with lots of flowers and coordinating stationery. In the end, I opted for a settee, some shelves and a coffee table to complement the gorgeous antique birchwood desk made by my husband’s great-grandfather. 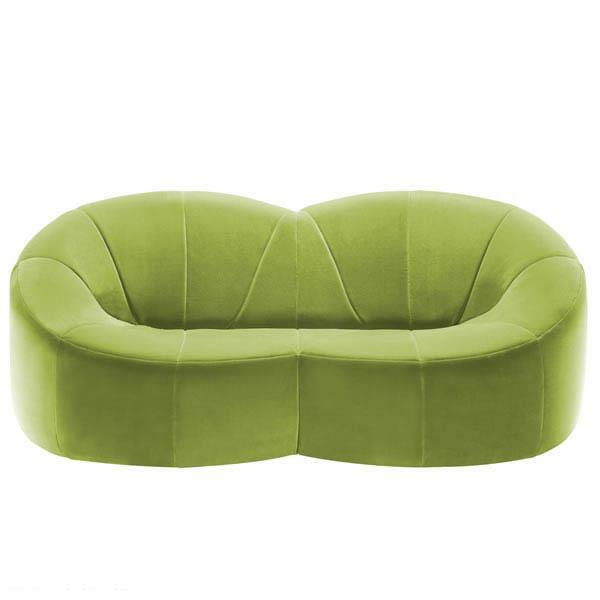 Ligne Roset Pumpkin range two-seater sofa. For the sofa, I loved this Ligne Roset’s Pumpkin two-seater. The French company’s philosophy is “Luxury doesn’t have to cost the earth”, and it walks the talk by using sustainable and recycled materials, as well as placing a strong focus on eco design. For more budget-friendly, yet still sustainable, options, Maisons du Monde has some great ideas for recycled and eco furniture, such as this wooden screen below. 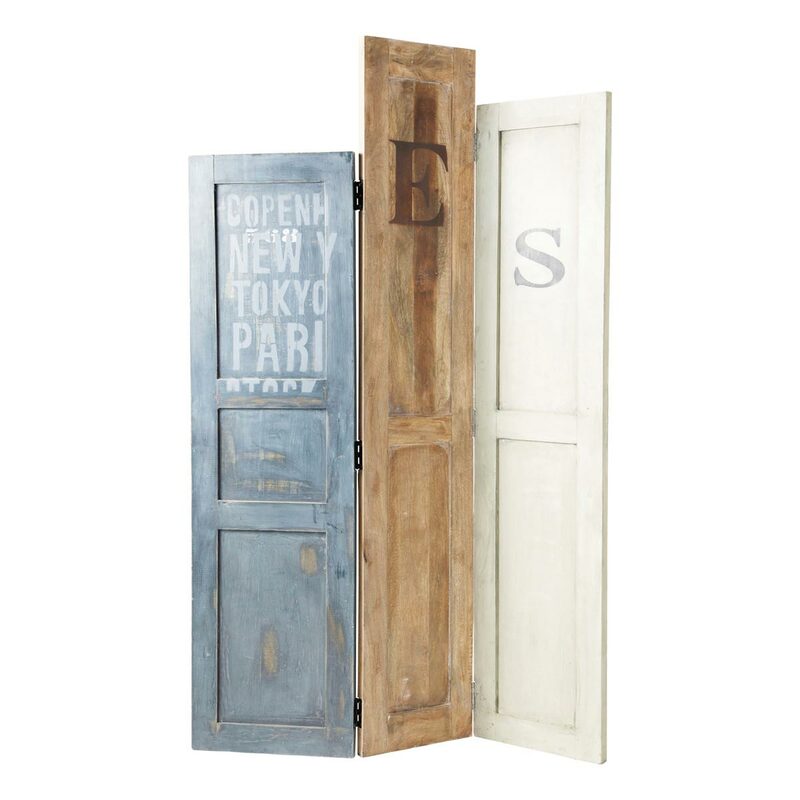 Recycled wood screen from Maisons du Monde. The biggest unexpected problem arose with the choice of an environmentally friendly rug. Granted, there are several options out there such as sisal and jute from Bambeco or the eco-range of carpet tiles by sustainability pioneer Interface but I had a different ‘look’ in mind for my spot rug. I was equally attracted to the 100% wool floral designer rug by Missoni and the handmade Tibetan rug from Rug Star, an eco- and fairtrade-minded company based in Germany. It is heartening to know that every purchase will support Nepal’s rebuilding efforts following the devastating earthquakes of 24 April and 12 May. 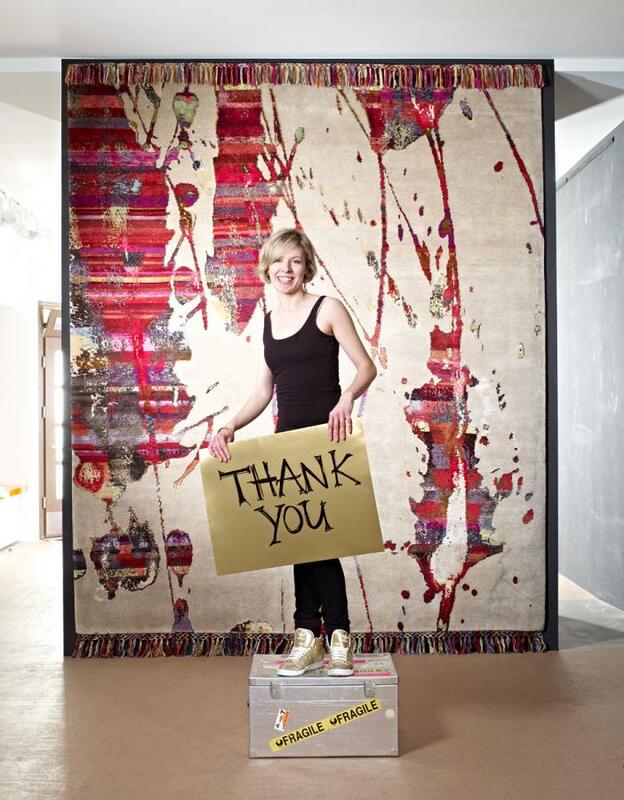 Rug Star supports Nepal rebuilding efforts through its production of rugs.